SharpCloud is fully-integrated with Office 365, meaning you can use your O365 license to authenticate with SharpCloud. Doing so gives you access to exclusive features and perks which you can learn more about below. When you authenticate with O365 / Azure AD you can bring in data stored in your SharePoint library without having to leave your story. You can connect to and sync with multiple SharePoint sources at any time, so you are always working with the latest information. Documents stored in cloud servers such as OneDrive and SharePoint can be viewed in real-time using item panels, allowing for further collaboration amongst teams and cloud storage applications. Provides the option to get in contact with Skype for Business users directly from your SharpCloud profile. Only available if you authenticate with O365. If you have a Microsoft Surface Hub you can use the SharpCloud Surface Hub App to login and access your SharpCloud stories. Watch our video here for more information. 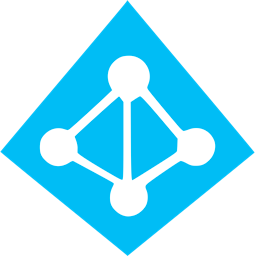 Authenticating with O365 allows you to access your Office contacts through the use of the Graph API, making it easier to share stories and collaborate with your contacts. SharpCloud has earned the highest standard of Microsoft's widely-recognised partnership program. SharpCloud is a Certified Partner in the Microsoft Partner Program, with Gold Competency in Application Development and Silver Competency in Cloud Platform, specialising in the provision of SaaS solutions for Microsoft Azure.